I've imported the HYG Database from http://www.astronexus.com/node/34 and now I need to convert all RA/dec stars positions to fit in a WGS 84 coordinates (SRID=4326) PostGIS map (-180 to 180, 90 to -90). EDIT: Ok, I think MerseyViking gives the answer in https://gis.stackexchange.com/questions/2459/what-coordinate-system-should-be-used-to-store-geography-data-for-celestial-coor telling to create a new coordinate system. Can someone give a look and some opinion? EDIT 2 (After answered): Fantastic!! I need to show the results of whuber and Dieudonné's answer. The first picture I show the query in QGIS. In second picture you can see the real positions in a map. The scale is different - Find Shaula, Nunki and Antares. Assuming negative longitude in WGS84 is west of Greenwich than you would get LONGITUDE = RA*15 and LATITUDE = DEC. The celestial longitude RA=0 through the vernal equinox would then be projected on the meridian of Greenwich. If you subtract 180 from the LONGITUDE then you would just rotate the celestial sphere by 180°. The meridian of Greenwich would then equate to RA=12h. If you want the stars to move with the rotation of the Earth, then you would use LONGITUDE = RA*15 - THETA*15, where THETA is the sidereal time at Greenwich in decimal hours. You should be aware that for the celestial sphere you look from the centre towards the inside of the surface of the sphere, while for geographical purposes you look from the outside (above) towards the spheroid (down). So if you project the stars on a globe like this, you will notice that the constellations will look inverted from what you're used to in star maps. 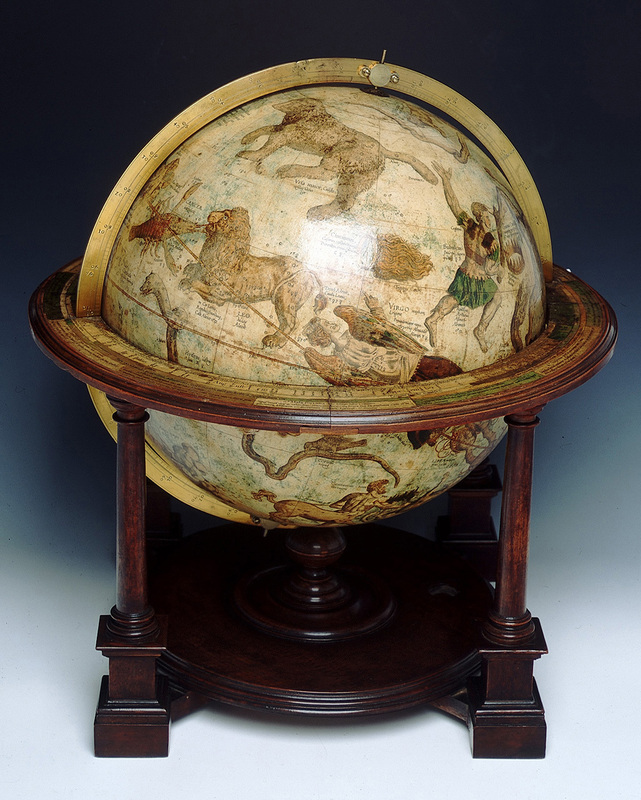 If you find one of those old celestial globes, you will also see the inverted constellations. 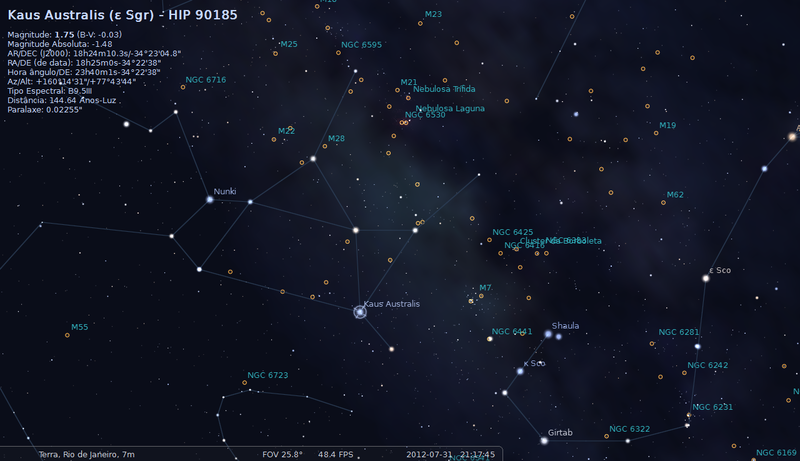 For instance on this image, you'll see Leo to the left of Virgo and Hercules, while on most star maps, Leo will be to the right. If you want the constellations to look 'right' then you would need to use LONGITUDE = -RA*15 (mind the minus sign). But then you would also need to invert the rotation of the Earth as well. Not the answer you're looking for? Browse other questions tagged coordinate or ask your own question. How to convert horizontal coordinates using NOVAS? Is there a map of the galaxies? How to convert ra&dec between different epoches? How to convert from Cartesian J2000 coordinates to Cartesian Galactic coordinates?